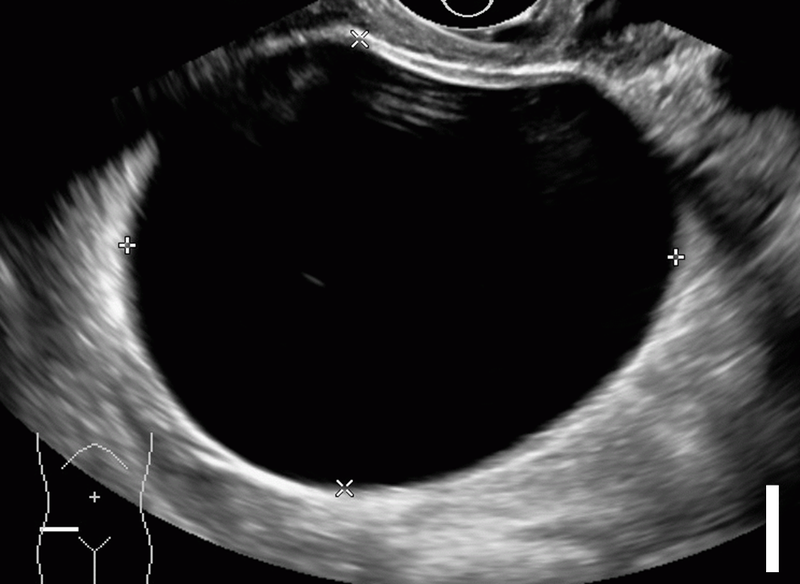 This pathway provides guidance on the imaging investigation of incidental ovarian and other adnexal masses. right ovary, maximal diameter 58mm. 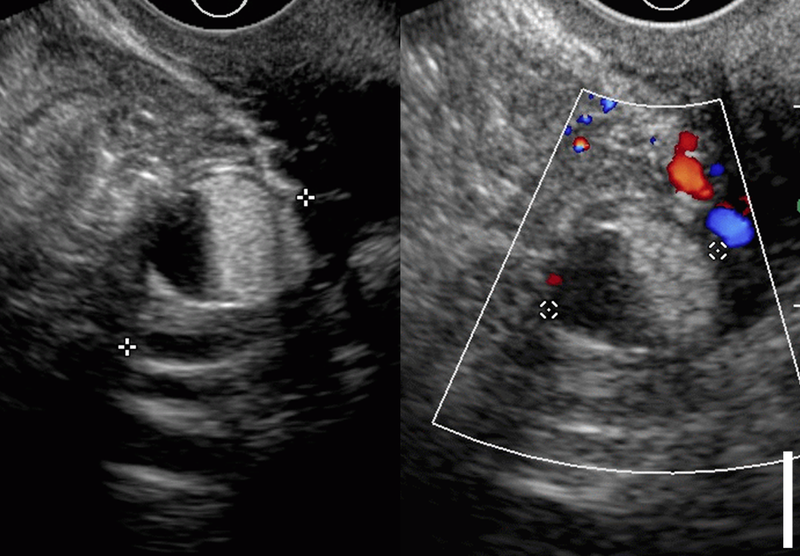 Echogenic contents with concave margins in keeping with retracting clot and no internal vascularity. Scale: 10mm. 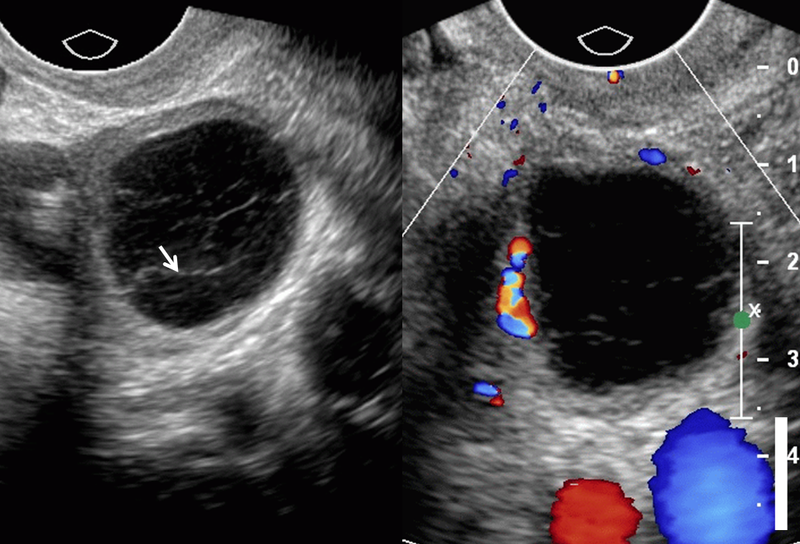 left ovary, 20x23x18mm, demonstrating a typical reticular internal pattern (white arrow) with circumferential but no internal vascularity. Scale: 10mm. left ovary. 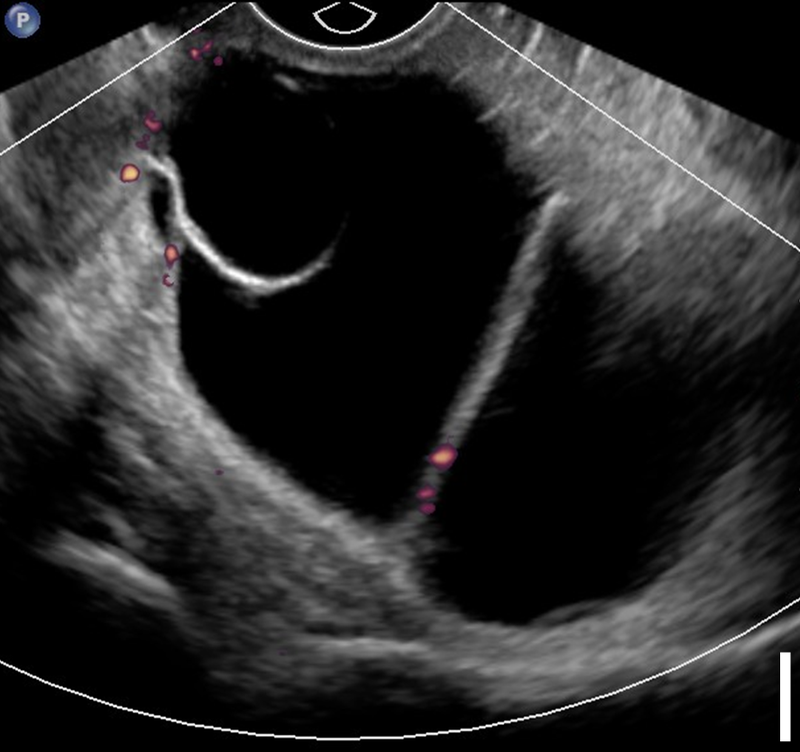 Unilocular cyst with homogenous ground-glass internal echos and no associated vascularity. Scale: 10mm. 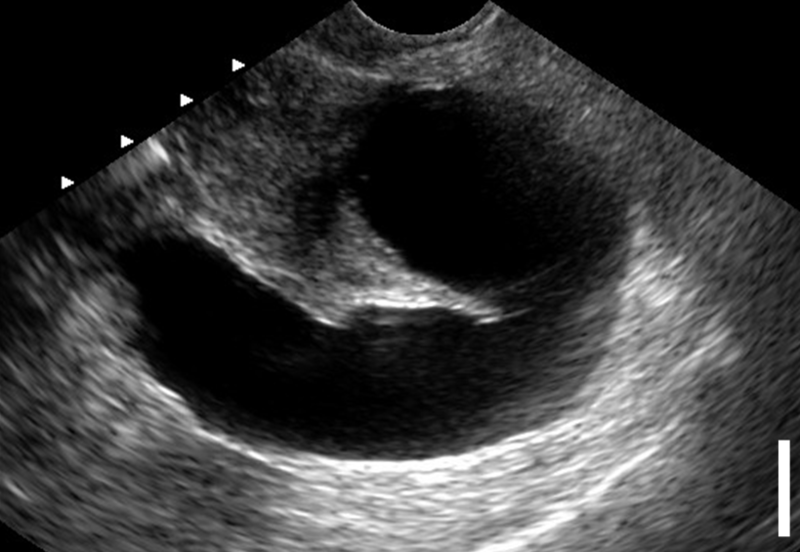 right ovary, maximal diameter 19mm. 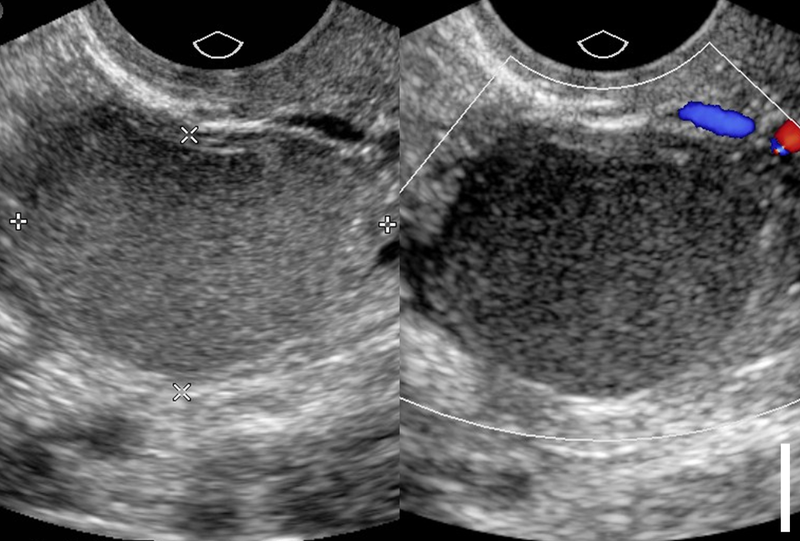 Echogenic contents typical of fat. Dermoid cysts may exhibit fat-fluid levels and calcification. Scale: 10mm. right adnexa, diameter 15mm. Tubular anechoic structure seen separate to the ovary (not visualised). Scale: 10mm. 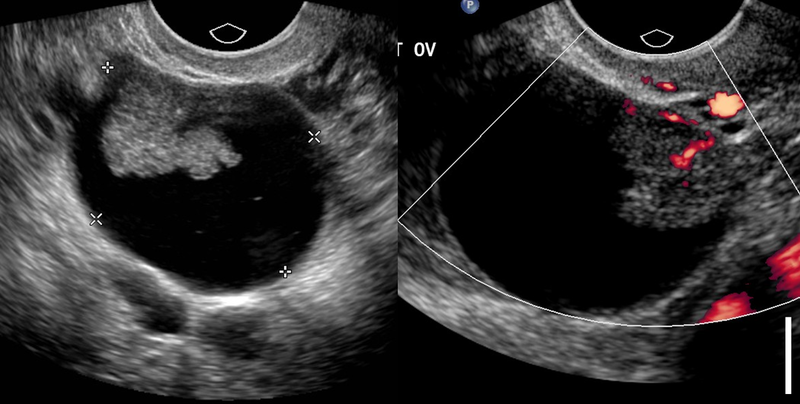 Indeterminate smooth multilocular cyst with anechoic contents, right adnexa, 92x61x57mm. Septations demonstrate some vascularity. Scale: 10mm. 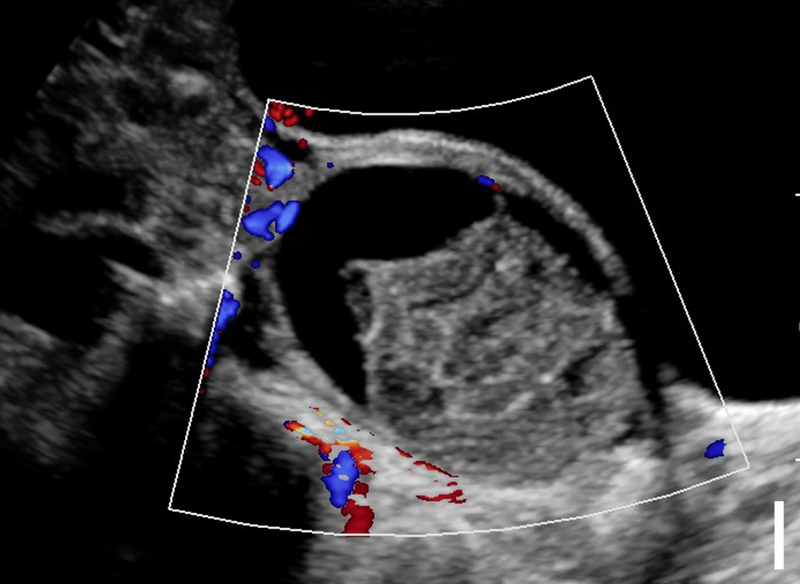 To characterise mature cystic teratoma by the presence of macroscopic fat and calcifications. 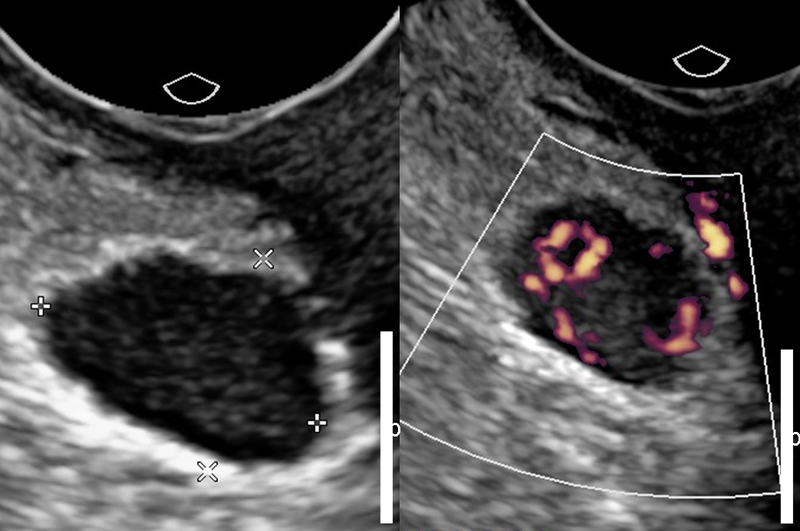 In staging, pre-treatment planning and follow-up of ovarian cancer.